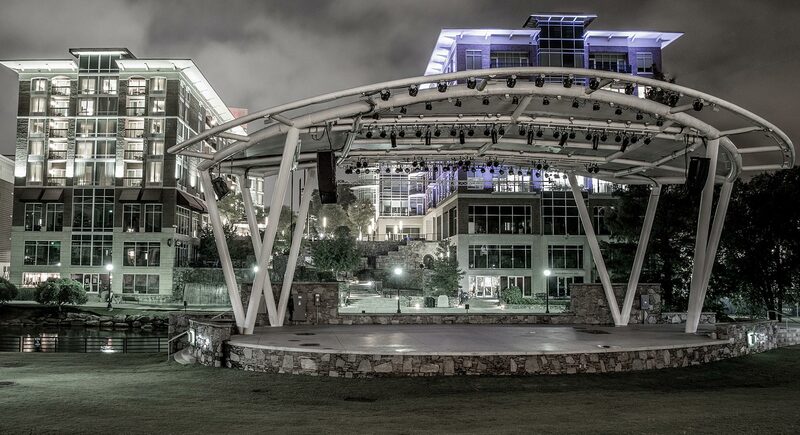 This venue in Downtown Greenville holds various concerts and outdoor movie events throughout the year. 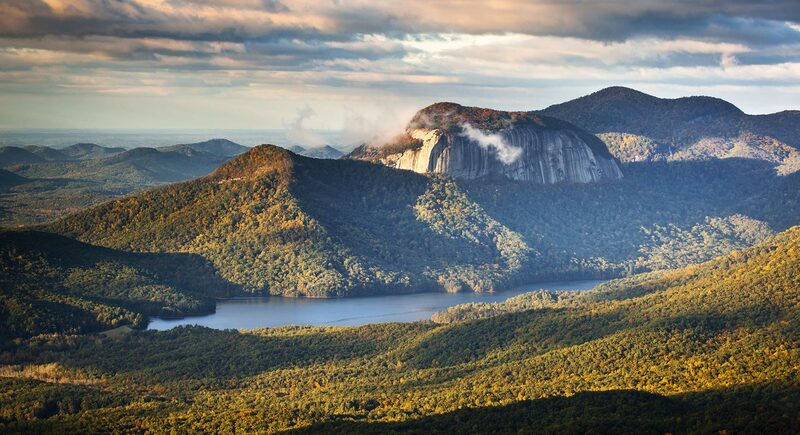 Table Rock State Park is a beautiful spot in upstate South Carolina. If you can hike to the top, the view is breathtaking. Situated in scenic upstate South Carolina, the 350-acre main campus of Southern Wesleyan University is located in the town of Central, nestled in beautiful upstate South Carolina and surrounded by city life and outdoor attractions. With a major college town just next door, you’ll find all kinds of shops and restaurants nearby. 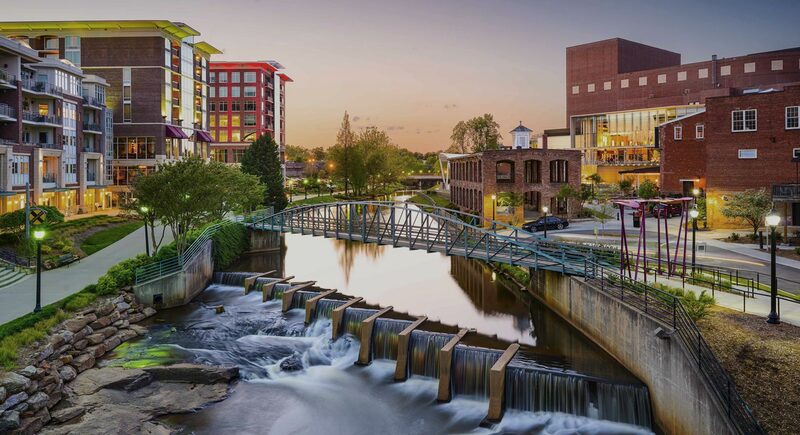 Just a half hour from campus you can find tons to do in Greenville, a city with a nationally-recognized, award-winning downtown full of shops, restaurants, parks, theaters, and more. Even Charlotte and Atlanta are only a couple of hours away. If you’re looking for adventure outdoors, SWU is perfectly located within minutes of beautiful lakes, mountains, waterfalls, and parks. 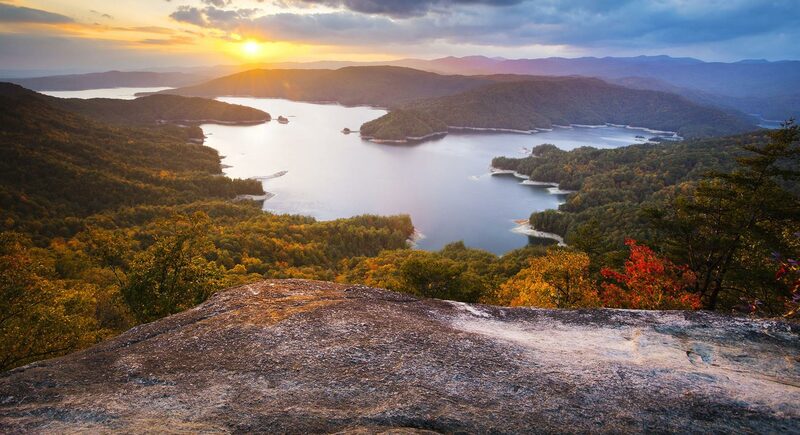 Hike on the Foothills Trail or spend some time in the sun at Lake Hartwell. Whether it’s backpacking or kayaking, you can find your adventure here.